I bought a mat because I’ve read so much research over the last few years on Beamer therapy. I had to protruding discs in my lower back years ago and my job requires me to drive a lot . So I usually have a lot of stiffness & back pain. 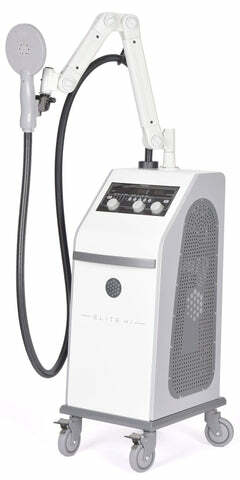 I used pemf about 7 times now and my back pain is so relieved. I can go hours of driving without as much back pain. When I wake up in the morning I’m not as stiff and I have seen ALIT of energy. I have a friend who uses mine for LUPUS and they have seen nothing but more energy. I definitely would recommend this, and will be purchasing more. I've been using the mat twice a day for 3 days. I feel that my breathing is deeper and my sleep much better. The cold is pretty much history, too. It's great to have such a non-invasive, scientifically sound therapy to help my body improve and maintain optimal health. Our cat, Rocky loves his PEMF treatments. He had an injured leg and after four treatments, he is doing better and hardly limping! Pulsed Electromagnetic Field Therapy (PEMF) Devices pulse a magnetic field consistent with the Earth’s natural frequencies. This helps to restore restricted ion flow and stimulates the body’s regeneration process. Harmful EMFs (electromagnetic frequencies) that cause electro smog come from many electrical components such as wiring, motors, cell phones and other equipment. Small appliances and equipment that are used in our homes daily such as computers, TV, WiFi and microwaves transmit frequencies that are equally disruptive to the human body as is that of cell phone towers and high voltage power lines. How can PEMF therapy help? Harmful EMFs cannot be avoided altogether, when possible, it is recommended to decrease exposure to harmful EMFs and to actively use an earth-based PEMF device. PEMF therapy has been proven to create this desired effect by delivering beneficial and health enhancing frequencies to the body consistent with those found in nature. Dr. Steve Cain DC, interviews Robert Lewis, President of PEMF Supply, to discuss PEMF product options for those who suffer from neuropathy. Over the years PEMF Therapy has proven to be effective on both acute and chronic pain. The body is comprised of approximately 70 trillion cells which communicate via Electromagnetic Frequencies. When the body experiences Electromagnetic pulses, it generates micro currents which target the cell membrane modifying and restoring normal function to damaged cells. PEMF Therapy has developed an almost universal reputation for improvement in sleep. People with electrical hypersensitivity often suffer from issues such as: problems falling asleep, early awakening, multiple awakening or long waking hours during the night. PEMF therapy devices have proven to be the most effective in stimulating brainwave patterns to shift from disturbing patterns to patterns seen in normal sleep behavior. The primary function of our magnetic fields in the body is to naturally increase circulation by opening and dilating the arteries and capillaries. When PEMF Therapy is used, a magnetic pulse passes through the cell which enables the membrane to become charged. The cells then separate from each other which helps to promote proper circulation and an increase in cellular oxygen. Inflammation is caused by the body attempting to heal itself after experiencing injury. PEMF Therapy helps to reduce the inflammation by charging the cells with a gentle electromagnetic pulse. Once charged, the cells then increase their oxygen carrying ability which promotes healing, reduces swelling and pain. The electromagnetic pulse that flows through the body stops the release of inflammatory mediators and increases blood flow. Orders placed Mon - Fri by 3 PM EST are shipped the same day.